Modern Hotel. Clean rooms. Nice building. 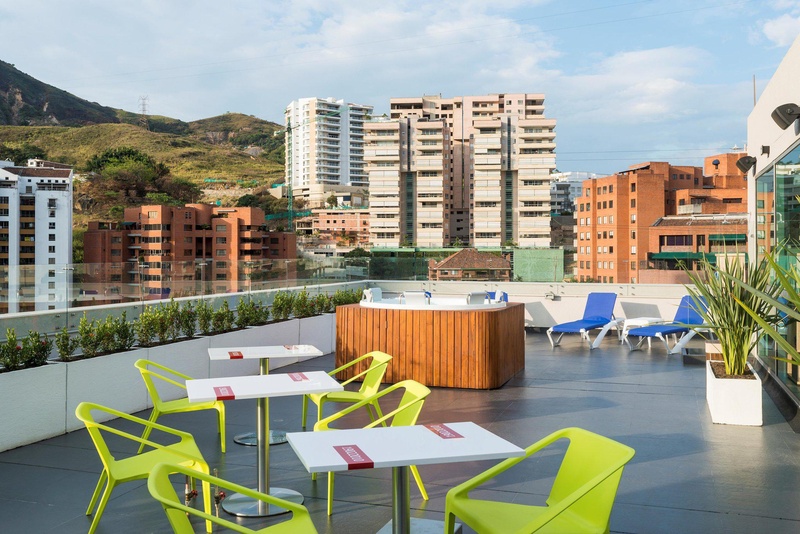 The friendly and modern Hampton by Hilton Cali, Colombia, is situated in Santa Teresita - one of the most exclusive neighborhoods in the west of the city - and is just 40 minutes from Alfonso Bonilla Aragón International Airport. Our stylish Cali hotel is just a short taxi ride from the best shopping malls, restaurants, entertainment and nightlife in the city. 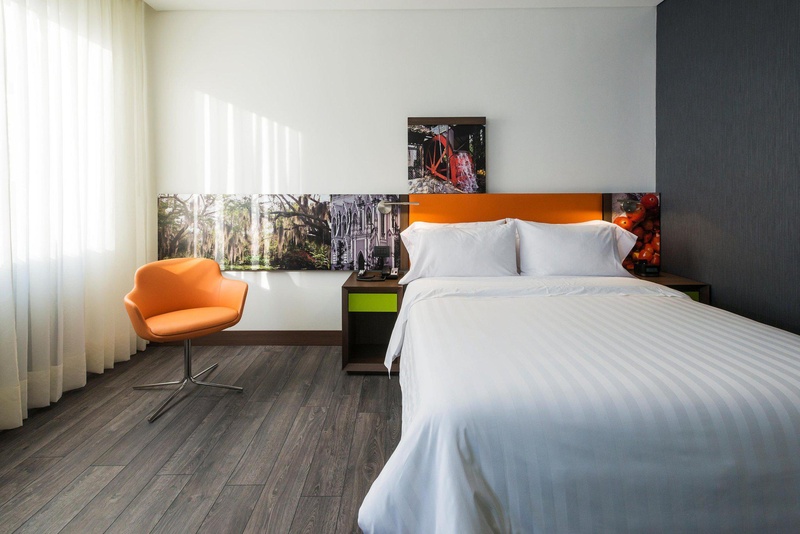 Unwind in a spacious guest room, where you can work comfortably at the desk with free WiFi, browse channels on the 32-inch HDTV and sleep soundly on the plush bed. 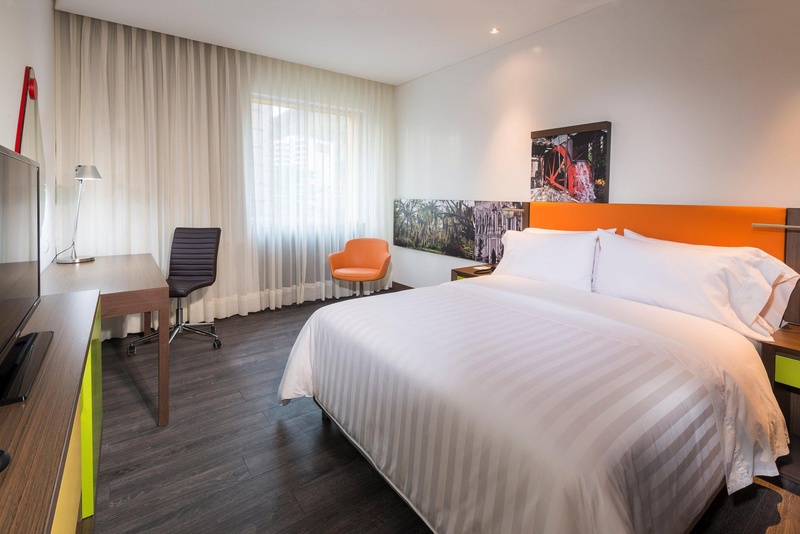 All of the guest rooms at this Cali, Colombia, hotel also feature a mini-refrigerator, a coffee maker and a security box for your comfort and peace of mind. 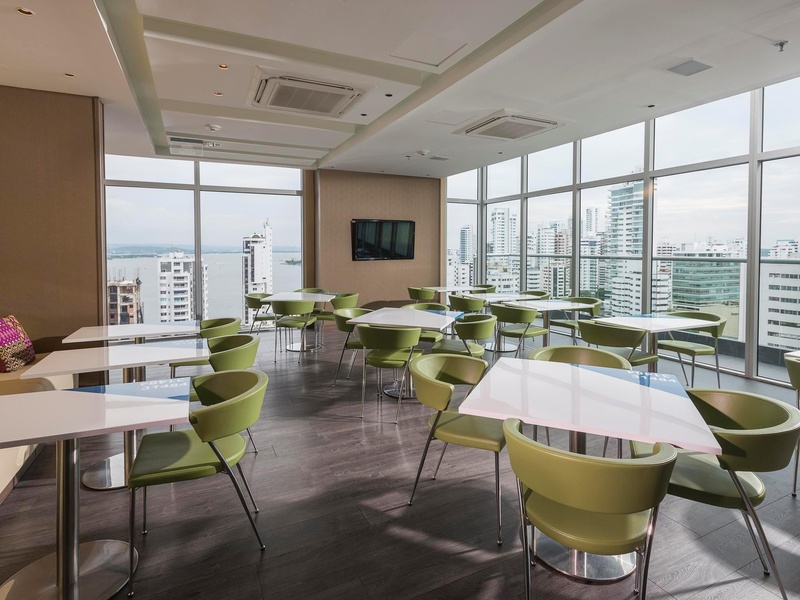 Start your day right - there is a hot breakfast included when you stay at this hotel in Cali, Colombia. Enjoy filled savoury pancakes and indulgent ice creams in the famous Colombian chain restaurant, Crepes &amp; Waffles, and buy snacks and sundries in the 24-hour convenience store. Print documents remotely from your guest room to the work zone and hold an intimate business event for up to 25 people in the meeting room. 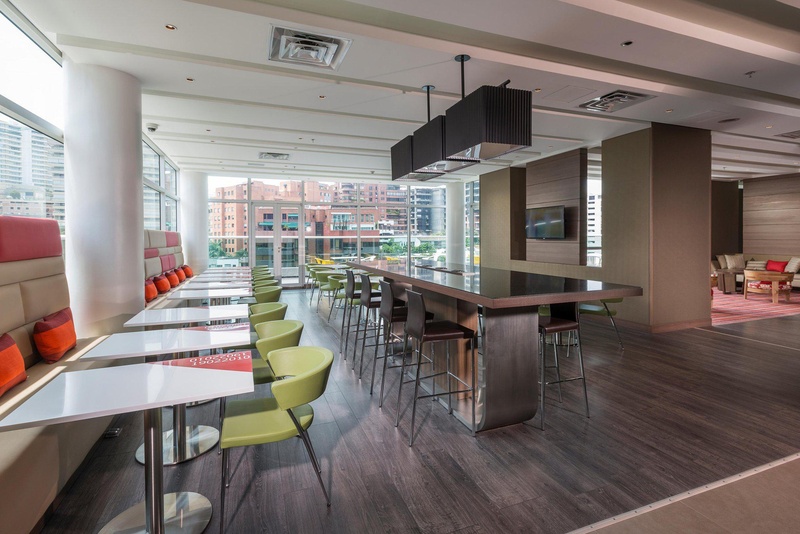 Work out in the free, 24-hour fitness room or relax in the soothing whirlpool, which is located on the 10th floor terrace and offers wonderful views over the city. Friendly service, clean rooms, comfortable surroundings, every time. If you're not satisfied, we don't expect you to pay. That's our commitment and your guarantee. 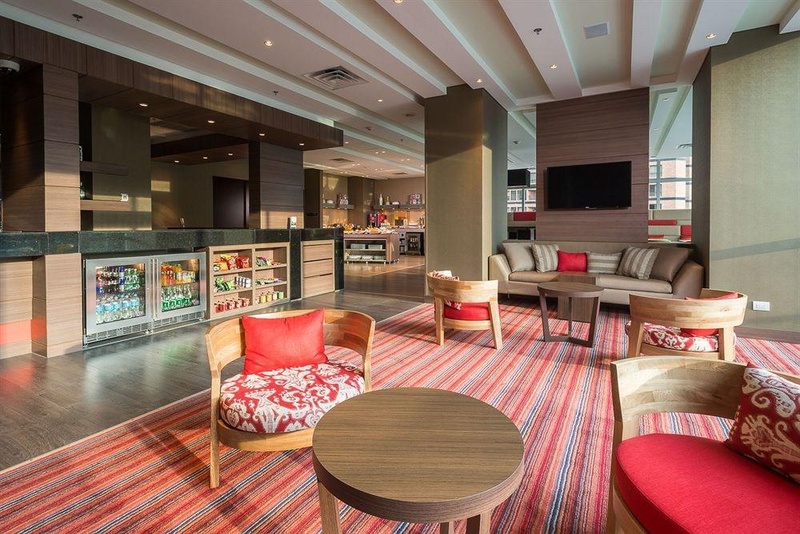 That's 100% Hampton by Hilton™. Restaurants nearby. Great location. Free parking. Excellent business hotel. Good for sightseeing and located near shopping areas. Great room. Awesome vibe. Good atmosphere. Good music. New hotel. Excellent personalised service. Excellent attention. Friendly staff attention. Quiet room. Comfortable rooms. Nice view of the city. Worst eggs. Don't like eggs. Breakfast fair.